TED is a remarkable Website sharing ideas from the world's most innovative thinkers and experts related to technology, entertainment, design, business, science, and global issues. Watch, listen to, learn, discuss and spread TED. What is Creative Commons? Creative Commons helps you share your knowledge and creativity with the world. innovation. Teach students and colleagues to collaborate as integral partners in the digital evolution as they discover and share content to use, re-purpose and remix with Creative Commons. Here you will find all the resources needed to learn appropriate use of Creative Commons licensing for written, graphic and multimedia content. This is the ideal place for teachers and students to share videos online. Create your own channel for your school or share videos with other students and educators. Instructions on how to load, create, and compress videos as well as how to create video contests and TV shows for your school. It's all here in SchoolTube. A merger of the Internet Public Library and the Librarians' Internet Index, this site is a comprehensive source of "information you can trust." Thousands of volunteer library and information science professionals created and maintain the site’s reference collections—sets of links to websites on U. S. presidents, author biographies, museums, research and writing, literary criticism, and many more topics. The Ask an ipl2 Librarian reference service, available 24 hours a day, seven days a week, provides individualized help finding authoritative, free online sources for specific topics. Point your students toward our new Smithsonian Education Students site! This fun and educational site brings American art, history, science, and culture to life. All content is based on Smithsonian research and collections. The Reference Desk on this site features a layout that is designed for easy fact-finding and includes timelines and an almanac, atlas, dictionary, and encyclopedia, as well as a Homework Center. Students can also search by visually identified topics or by typing in keywords. Check out fun features such as Biographies of the Presidents, the Geography Hall of Fame, and the Tallest Buildings Slideshow. Many districts require assignment notebooks for scheduling homework and long-term assignments. For some students, a paper-based system works effectively. For other students, the assignment notebook provides unintended consequences as a method of frustration. Not all students are able to independently record homework in an assignment notebook, for a variety of reasons (i.e. difficulty with pencil control, difficulty managing multiple paper materials, unable to use notebooks due to vision or physical disabilities) . The paper IS the disability for these students. 1. Embed the assignments on the class webpage. Students (and parents) will know where it is recorded which can become part of the home routine. 2. Use Audio Recordings - If homework is assigned at the upper elementary level, have a student be the Homework Recorder for the day using simple tools such as Vocaroo, Fotobabble, or Eyejot (webcam needed). Or, use Audacity or Garage Band to create a podcast as a record of accomplishments as well as the assignments of the day. Whatever method is used, embed or link it to the classroom website or wiki. 3. 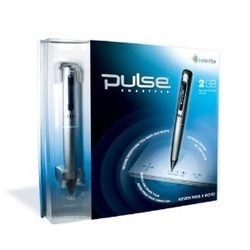 Use a Livescribe SmartPen to create audio recordings which are synched with the text for review at home. Audio recordings can be uploaded to the computer and linked to the class website or wiki. 4. If you have a mobile device, consider these apps - SmartNote, Fotobabble, Evernote, any audio note app that allows you to embed or send to your students' email list. 5. Allow students to take a picture where the homework is recorded with their cell phones or iPod Touches.